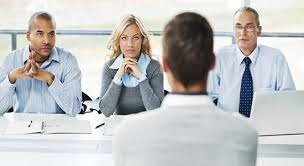 I maybe redundant with this topic, "the interview," but we can't really deny the fact that some good and deserving applicants fail not because they don't have the technical skills but simply because they don't have what are needed to be seen during the interview. Bad attitude. This will include rudeness in answering, bad clothing, tardiness, inappropriate makeup, yawning, arrogance and alike. Not knowing the company and the job applying for. The company wants to know how you can contribute their organization. So, do your research. Talking bad about previous employers. Reserve this side as there can be reason why you have a bad time with your old bosses. Keep this private as much as possible especially during your job interview. Lying. You have to update your resume if there are changes but never say anything that ain't true because your potential employer may have and will cross - reference your resume. So, be truthful. The list can be longer but the point is be ready for your interview and know what must not be done or said. Good luck!